Shift from waiting to doing. We provide a wide range of financial services that are critical to a well-rounded strategy. Whether you are in need of investment consulting, help with setting up a trust, or tax advice, Shoreline Financial has knowledgable professionals with years of experience standing by ready to advise you on your financial future. An annuity is an insurance product designed to accept funds and accumulate interest on a tax deferred basis for a certain period of time before withdrawing those funds as a lump sum or equal income payments. We specialize in Fixed, Indexed, and Income Producing annuities. Explore which one can help you meet your retirement goals. A trust appoints a trustee the right to hold assets and funds for the benefit of a beneficiary. Secure your loved ones’ financial future and avoid the stress and confusion that can arise when transferring your estate to your beneficiaries. A mortgage is a loan used to purchase a home, where the property serves as the borrower’s collateral. When it comes to obtaining a mortgage loan, homebuyers have fewer options than they had during the boom years. Let us help you choose the best option for your situation. Reaching your financial goals is not just about wealth accumulation. It’s also about asset and legacy protection. Shoreline offers a range of life insurance to fit your individual needs including term, whole life, indexed universal life, long-term care, and disability protection to help make sure you are ready for whatever the future brings. Whether you are a seasoned pro or completing a tax return for the first time, tax season can be overwhelming. Let our professionals walk you through the process and make sure this tax season goes smoothly. An investment is an asset or item that is purchased with the hope that it will generate income or appreciate in the future. There are many investment options in today’s marketplace and making the right choice can be difficult. We can help narrow your focus to make wise decisions based on your goals. At Shoreline Financial Services, we specialize in retirement planning and offer a full range of services to empower our clients to make informed decisions and develop a plan to maximize their retirement security. We offer expert consulting services and excellent financial options for conservative investments including fixed & indexed annuities, investment-grade life insurance, and long-term care. 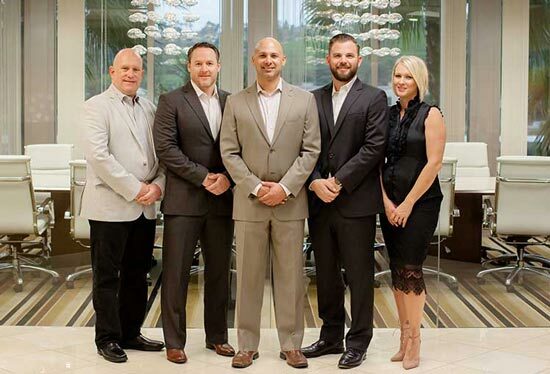 As part of our holistic approach, Shoreline Financial has also cultivated a specialized team in other financial areas including tax advisors, trust attorneys, mortgage specialists, and financial planners because we strongly believe a successful plan can only be developed through collective strategies. Our mission is to place clients first and develop a relationship of trust. We acutely understand the concerns of risk and uncertainty and the importance of financial health for individuals and their loved ones. As such, everything we do is uniquely catered for our clients through careful consideration. We listen to our client’s needs, analyze all available options, recommend an individual strategy and maintain our relationships. Shoreline Financial Services foundation was built on the value of complete service to our clients. In the world of insurance and retirement planning, the most treasured component is freedom of choice. Our goal is to help our clients choose the best plan and appropriate vehicles to successfully reach their financial goals. Copyright © Shoreline Financial Services 2019. All rights reserved.